We exist to build brands that pioneer the future, inspire society and move customers to action. Bound together by our purchase journey obsession, we help clients translate audience insights and behaviors into smart decisions today for a prosperous tomorrow. 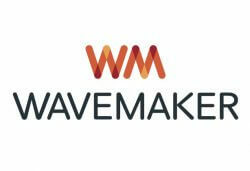 Wavemaker is a next generation agency that sits at the intersection of media, content and technology. We are obsessed with the customer’s purchase journey and this is what connects our mission directly to our client’s business challenges. We invented WM Momentum, the world’s most comprehensive study into how people make purchase decisions and have conducted over 500,000 surveys in 40 markets and across more than 80 categories. We are a business that is powered by the creativity and curiosity of our 8,500 people in 90 countries, united by our PACED values. We are a part of GroupM, WPP’s global media investment management company.